Raa Raa the Noisy Lion (Originally called "Rah Rah The Noisy Lion" but often misspelt "Ra Ra The Noisy Lion") is a children's TV series created by Chapman Entertainment. The show began airing on CBeebies in May 2011 and is narrated by the popular TV presenter, Lorraine Kelly. It's set in the Jingly Jangly Jungle where Raa Raa and his friends share many exciting adventures. Household name toy maker, Tomy, was granted the licence to supply Raa Raa the Noisy Lion toys. These include soft toys of Raa Raa and his friends, an arts & crafts range, some infant preschool products and a playset that is the showcase toy in the range..
Toy fans may notice more than a slight resemblance to some other playsets such as the Jungle Junction playset and the Octonauts Octopod. Not that this will affect the amount of fun that can be had out of the Raa Raa playset of course! January 2011 saw the first wave of Tomy's Raa Raa The Noisy Lion toys with Toys R Us given the exclusive right to sell them before other retailers. sell the toys before then. The show's popularity means the toys are in great demand. 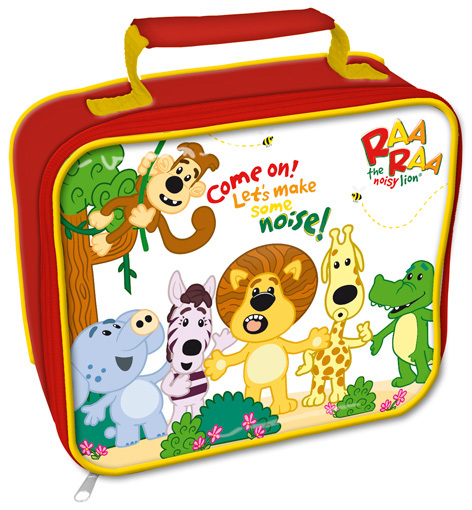 ore Raa Raa the Noisy Lion toys were released in the Autumn of 2012 by MV Sports who are experts at creating innovative wheeled toys. These toys included battery operated ride-ons, as well as baby walkers, sit and ride toys, bikes, skates and trikes. Games specialist, Jumbo Games designed a great selection of Raa Raa games and puzzles that have been inspired by the show. Shown below is the 4-in-1 Floor Puzzle, the 15-piece Floor Puzzle and the 35-piece Assortment Box. Lunch bags, bottles, bedside lamps and loads of other homeware items were produced by Spearmark. These included a rather fetching lunchbox. Fine Décor were so impressed with the animated show that they developed a range of wall coverings based on the friendly lion and all his pals. 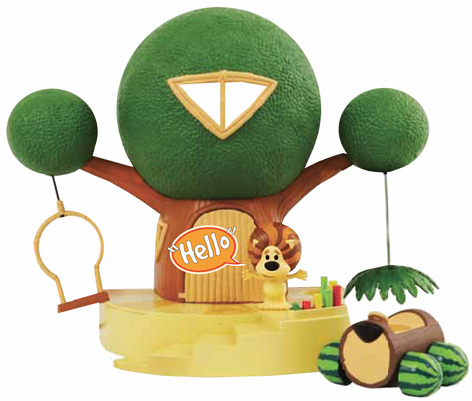 To find out more about the numerous different products that accompany the series, check out this Raa Raa The Noisy Lion Toys blog which promises to have up to date information about everything Raa Raa!